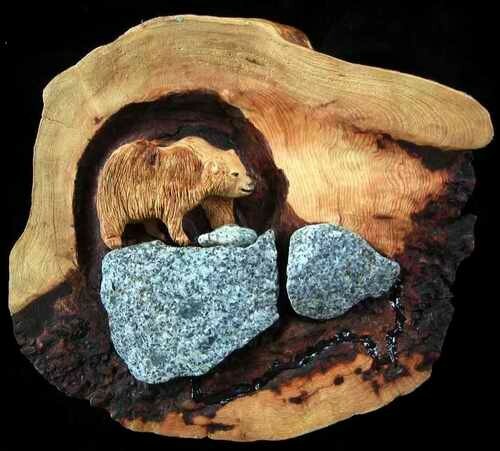 A 4â�� grizzly bear carved in relief in an 11â�� spruce burl. The bear is walking across a large rock inset into the wood. 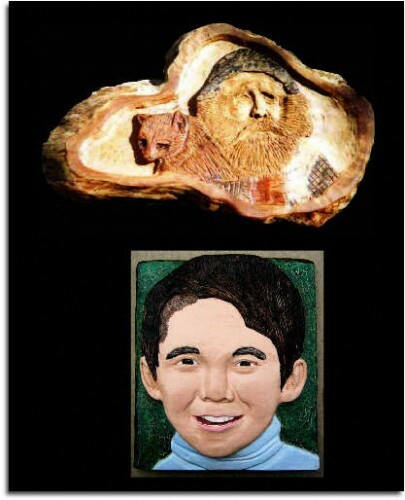 Portraits carved in wood make a unique gift that lasts for generations. Finsh can be natural or acrylic paint. 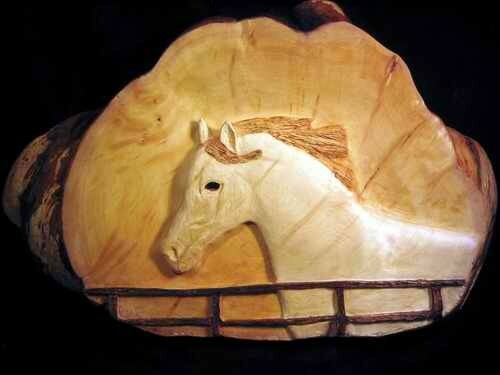 Price starts at $150 depending on size and type of wood. 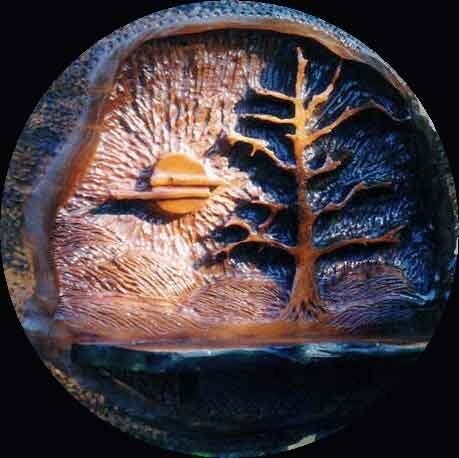 Decorative Carving - custom designs carved in hope chests, tables tops, shelving or doors. 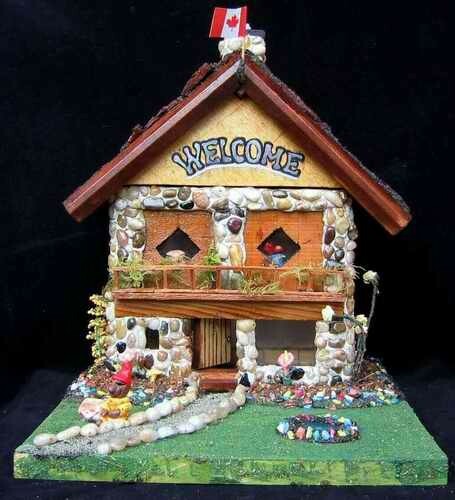 The carving shown has a shelf and a place to hold a candle or small plant.